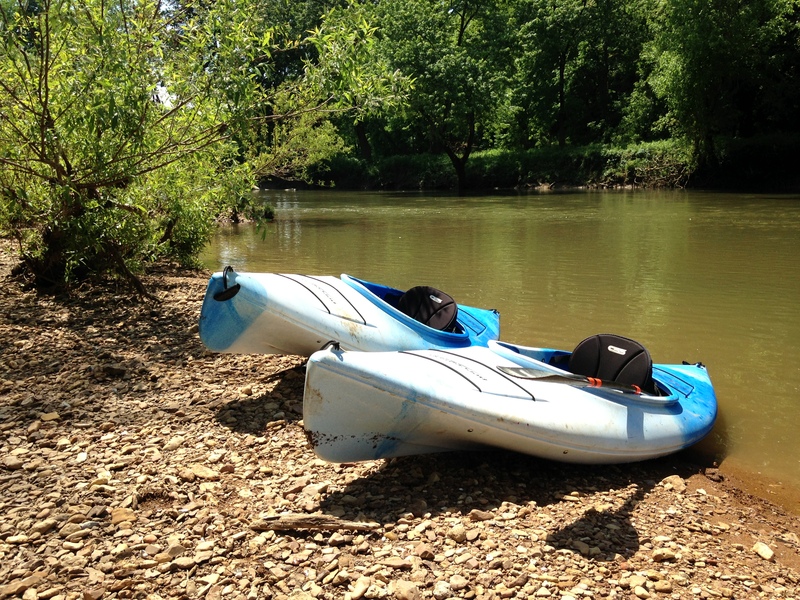 The same can be said for an outdoor adventure experience, and it was the intriguing name that first caught our attention when looking for a kayak and canoe experience near Nashville. Foggy Bottom Canoe in Kingston Springs, TN jumped out at us, with its seductive, mysterious moniker. Conjuring up a mix of southern bayou haze and a cloak and dagger spy scene, we thought we’d take a look. What ensued was a day of fun, adventure and exploration through a gorgeous section of Middle Tennessee wilderness – and all just a short drive west of Nashville near Harpeth River State Park. 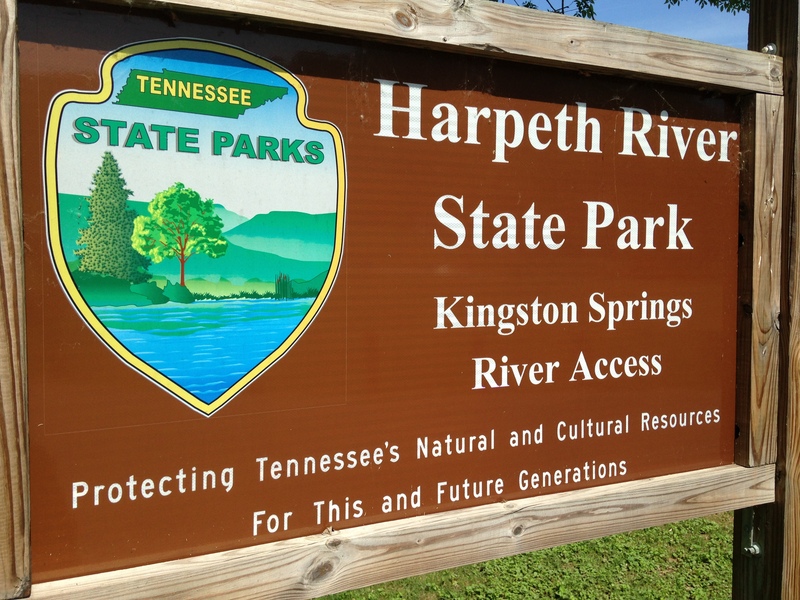 Harpeth River State Park sign. Don’t miss: Approximately half way on the left of the two hour paddle there is a small inlet with a large field making a great stop for a picnic or rest. Grade: Suitable for all ages and beginners. Mild and gentle river. Taking the winding, tree lined scenic route out of Nashville along state highway 70, we passed through small towns, rolling hills and vast tracks of lush green fields and forest. 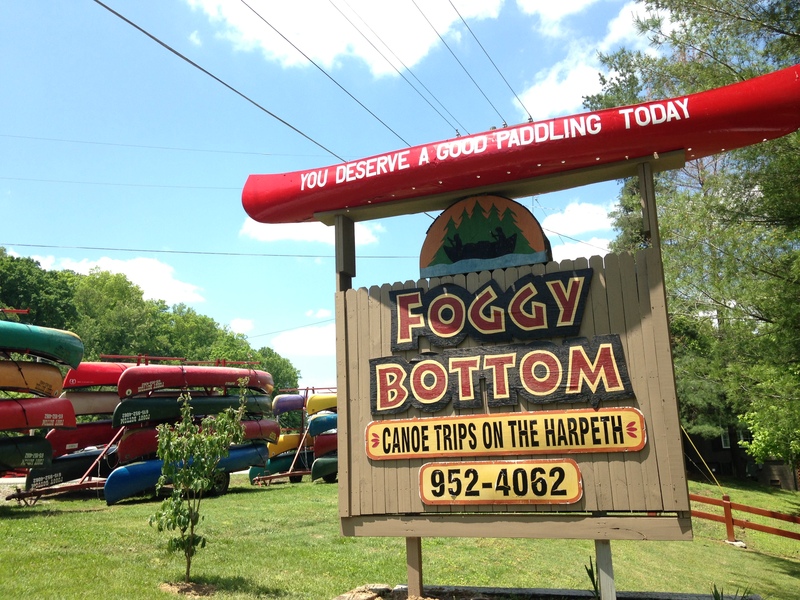 Just past the tiny village of Pegram, we found Foggy Bottom Canoe and Kayak. Entry to Foggy Bottom in Kingston Springs, Tennessee. 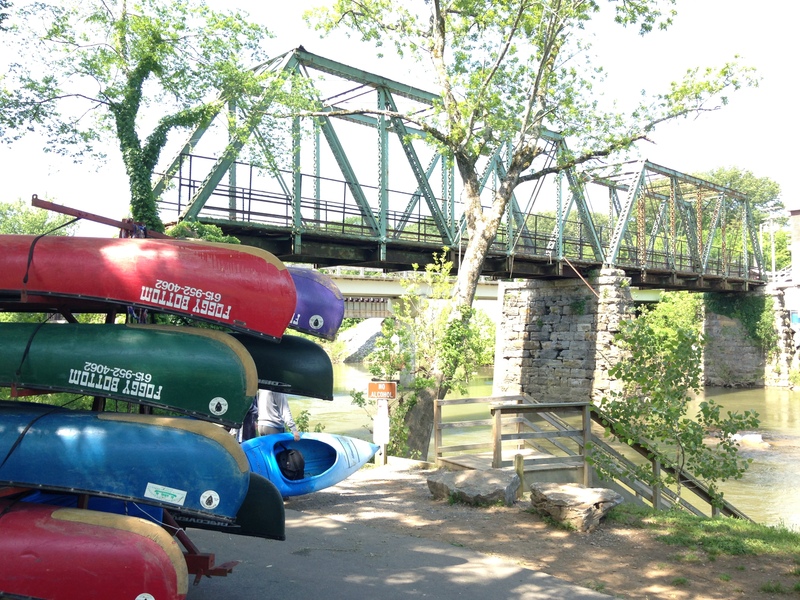 Meeting us was a neat row of colourful canoes and sporty kayaks, all waiting to ply the picturesque Harpeth, a long winding river that empties into the great Cumberland. 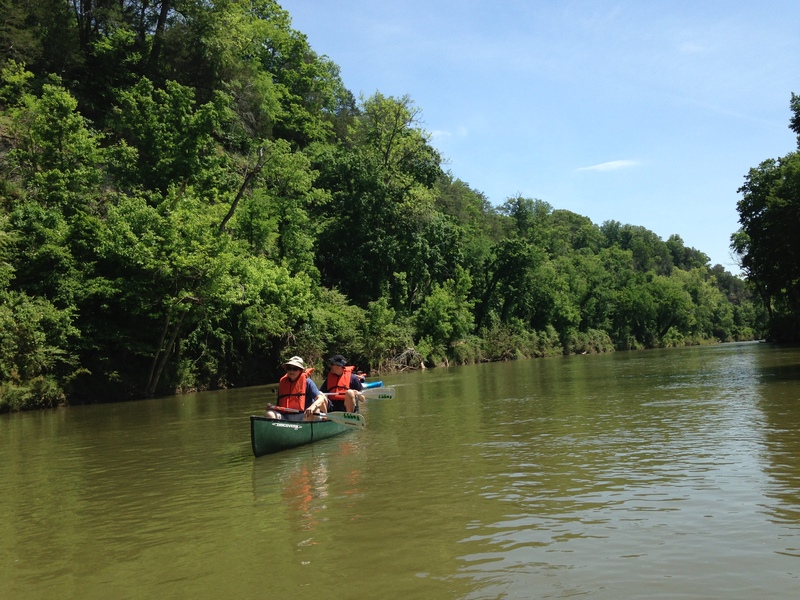 As a class 1 river, the Harpeth offers a perfect mix of slow moving stretches with the occasional mild rapids thrown in for a bit of excitement. Perfect for beginner canoeists or kayakers and for those who simply want to enjoy the idyllic scenery, Foggy Bottom offers three different trips – a 2 hour run at approximately 5 miles, a 3-½ hour run and the longest at about 11 miles, or 4 to 5 hours. 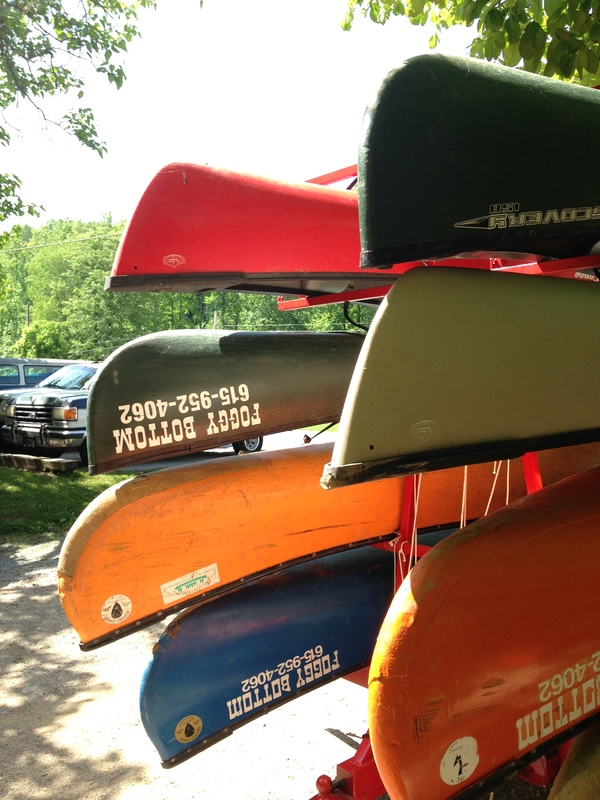 Foggy Bottom Canoes ready for the Harpeth River. Foggy Bottom canoe and kayaks. We arrived early on a weekend morning before the rush of nature lovers turned the Foggy Bottom home base into a hub of activity. 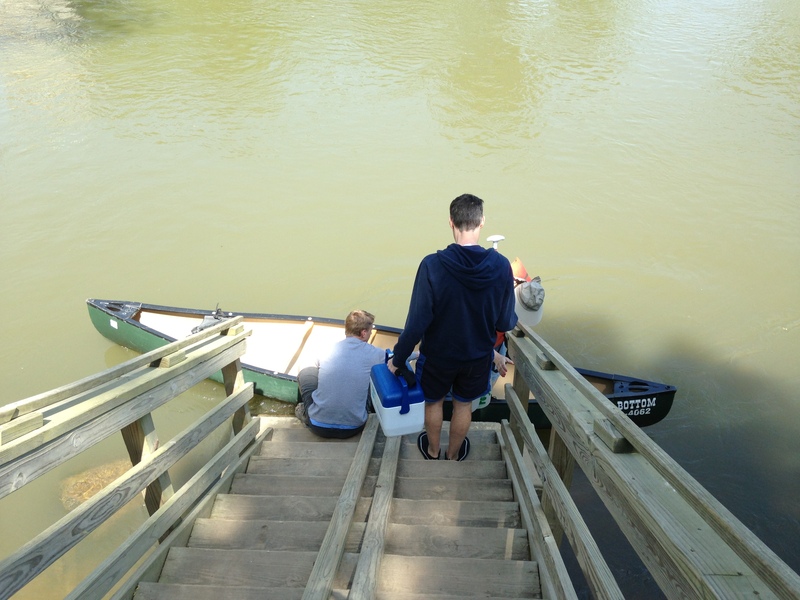 The friendly employee behind the counter had us fill out a simple waiver form before directing us back outside to pick the canoe or kayak we wanted to spend our time in. A helpful guide was there to lead us to all the equipment before he loaded our canoes and kayaks on a trailer. 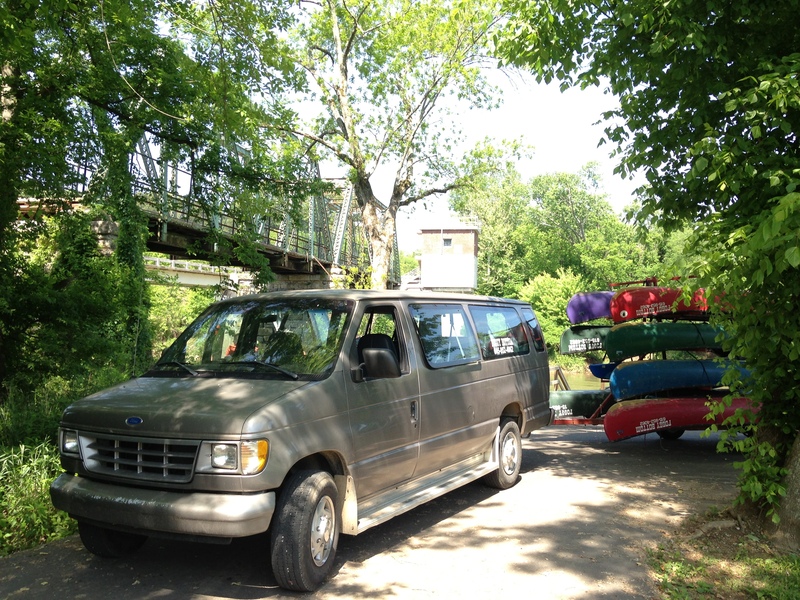 He invited us to have a seat in the Foggy Bottom van before driving us up to the picturesque launch site where we were to begin our fun-filled nature course down the Harpeth. The guide did all the work for us, unloading our canoes and kayaks, placing them in the water and helping us get situated before we glided away with the river currents. 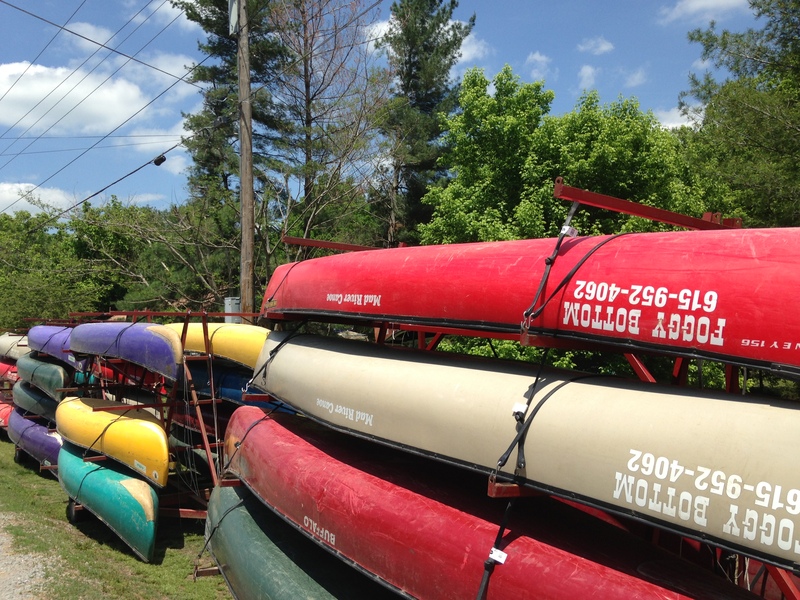 Transport and canoes at our launch area. Launch area for the 2 hour Foggy Bottom canoe trip. Readying for launch with our local guide. 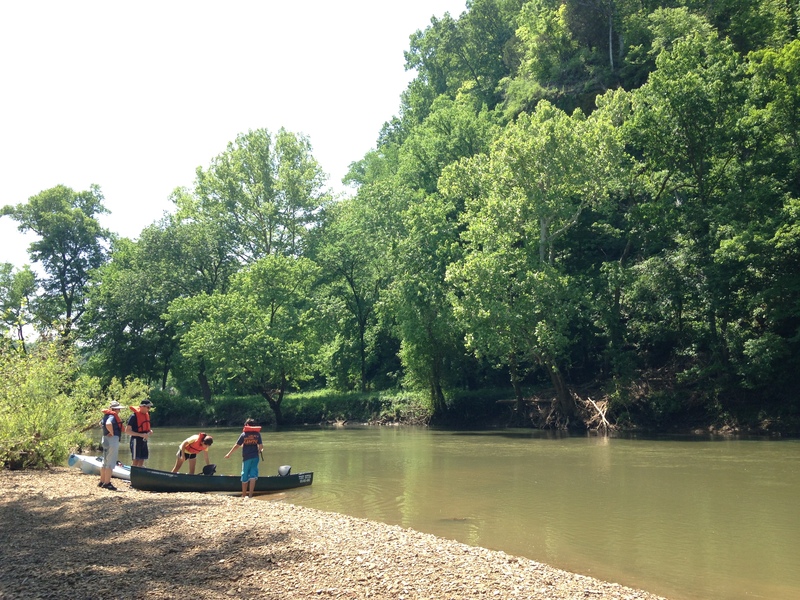 The Harpeth water level was on the high side, which gave us a steady current, propelling us along the lush tree lined shore. Around every bend there was a rocky beach, sand bar or grassy area ideally situated for a swim, a picnic, or, that favourite past time for my niece and nephew, skipping rocks. 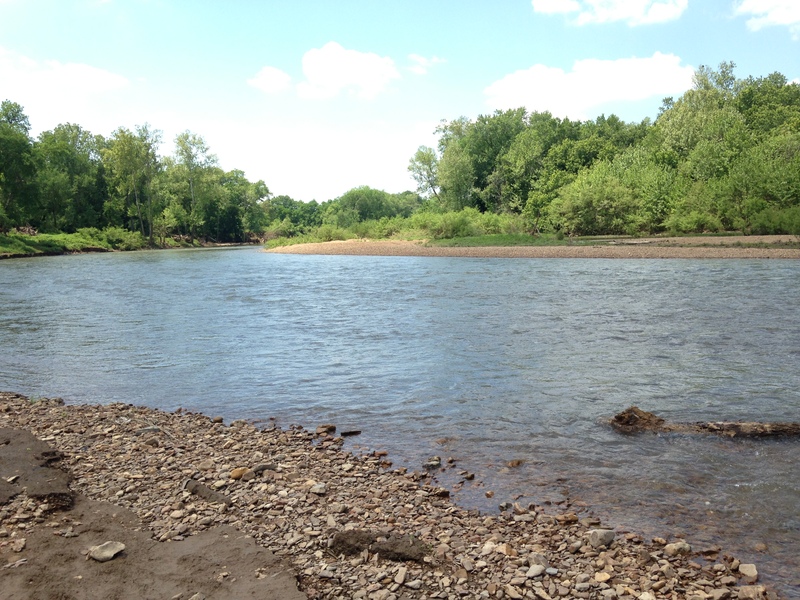 Picnic spot along the Harpeth River. One of several picnic and rest stops along the Harpeth River. Foggy Bottom kayaks along the Harpeth River. Birds and other wildlife are plentiful and we enjoyed seeing the baby turtles sunning themselves on a stumpy log along the shore or seeing a bunny hop off into the wilderness. Hawks and the occasional eagle can be seen as they soar high above with their wings outstretched; taking advantage of the breeze as they glide in endless circles watching for fish or other small prey below. Tennessee is known for its limestone and one particularly stunning spot along the river featured high, rugged cliffs. Making it all the more idyllic, a mesmerizing water fall could be seen and heard through the lush foliage as it flowed down the massive embankment to the river front. Quick rest stop along the Harpeth River limestone cliffs. 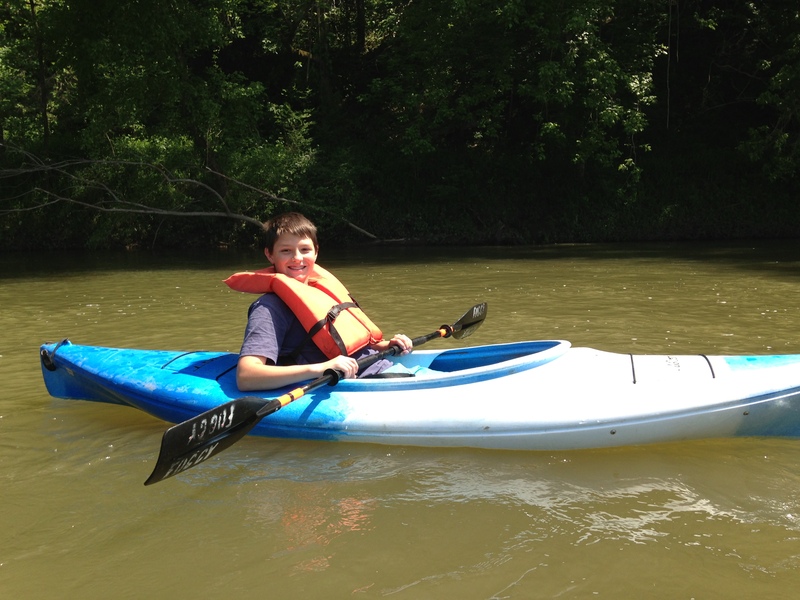 Our nephew Isaac kayaking along the Harpeth River. 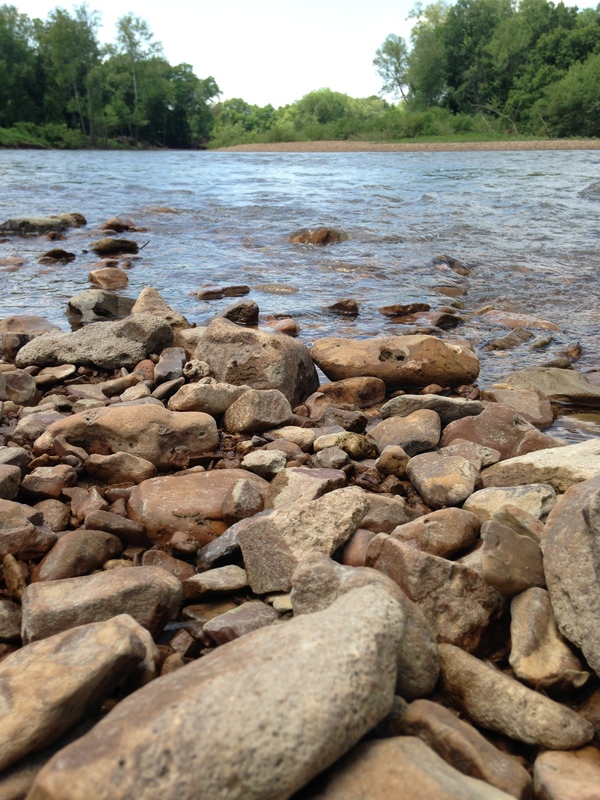 The gentle river flow across the rocky shore line. With that, our two-hour adventure seemed to be over in the blink of an eye, but with all we had seen and experienced, we were left with memories to last a lifetime. 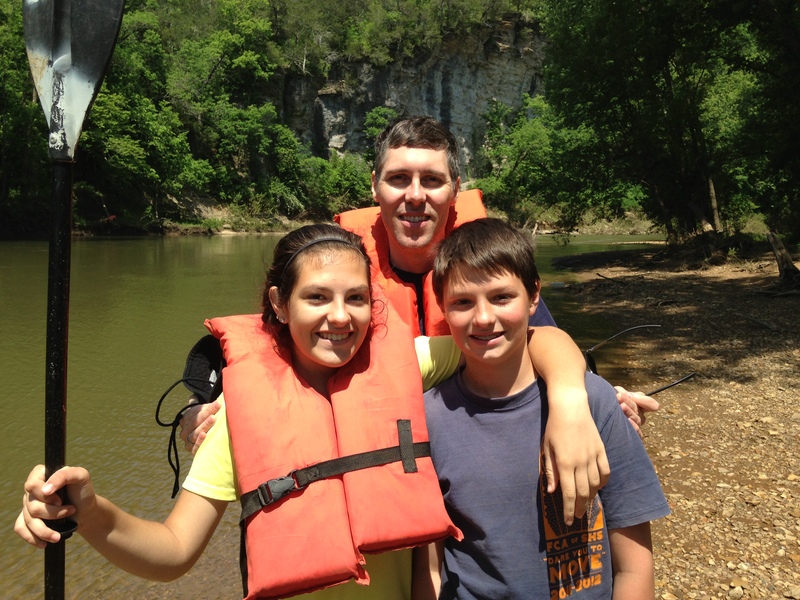 This is one river experience we will definitely want to revisit – only next time we’ll try the longer trip to take in even more of the scenic beauty of Middle Tennessee. Slow and calm canoeing along the Harpeth River. 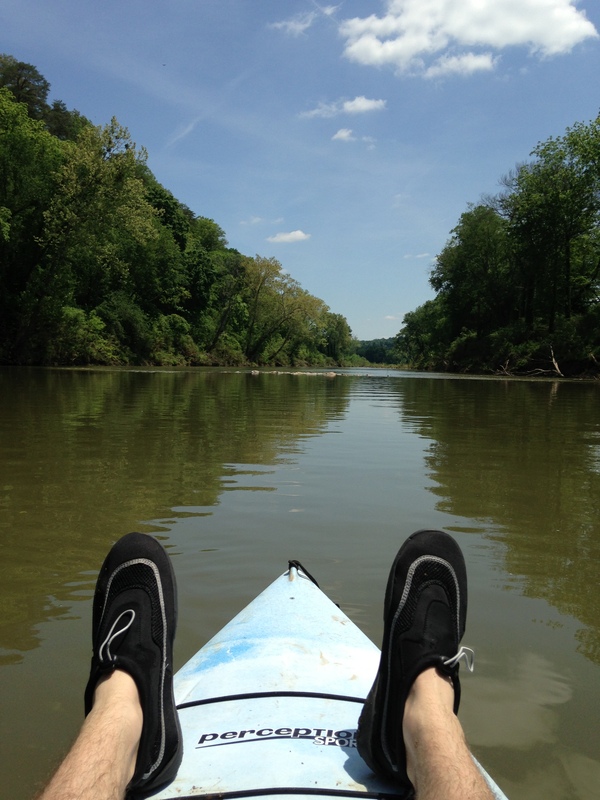 Just a lazy kayak paddle along the Harpeth River. From the bright lights of the big city to the tranquil outdoors, Todd Sturm enjoys mixing it up as he travels to destinations around the world. Based in Brisbane, Australia, Todd especially enjoys travelling around and writing about his native U.S.A.
Great place for the most enjoyable family outing.